Fun matching pairs card game with the founders of the US. 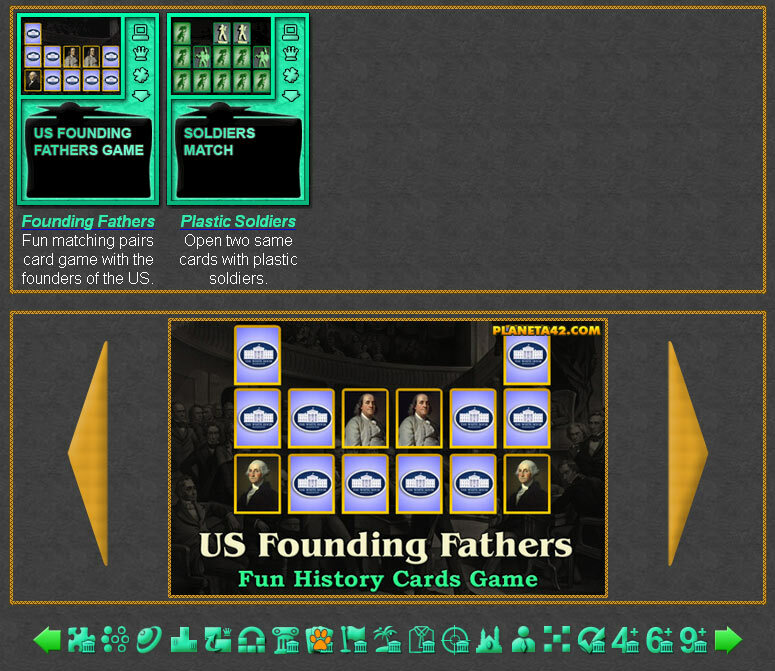 Fun online history card games collection. This category include all history games played with cards. History learning card games suitable for online lessons and interactive classes. Online card games. Minute to win it games. Fun History Card Games Collection. 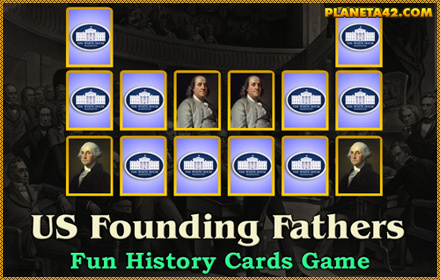 Founding Fathers of the United States - Fun matching pairs card game.